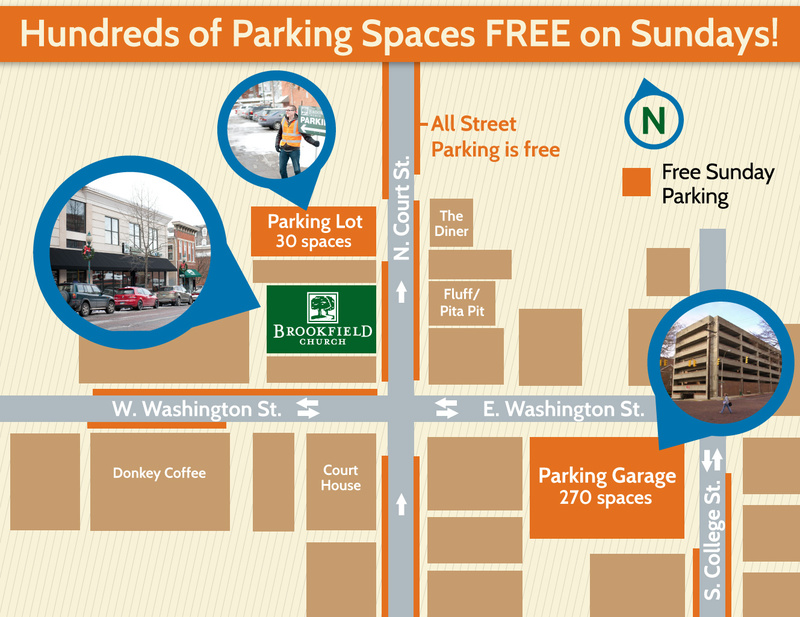 Check out our parking map to see the most convenient places to park on Sundays. If you're worried about the availability of uptown parking, don't be! There are hundreds of free spots on Sundays within a block of Brookfield Church. Check out the map below to see some of the closest spots.